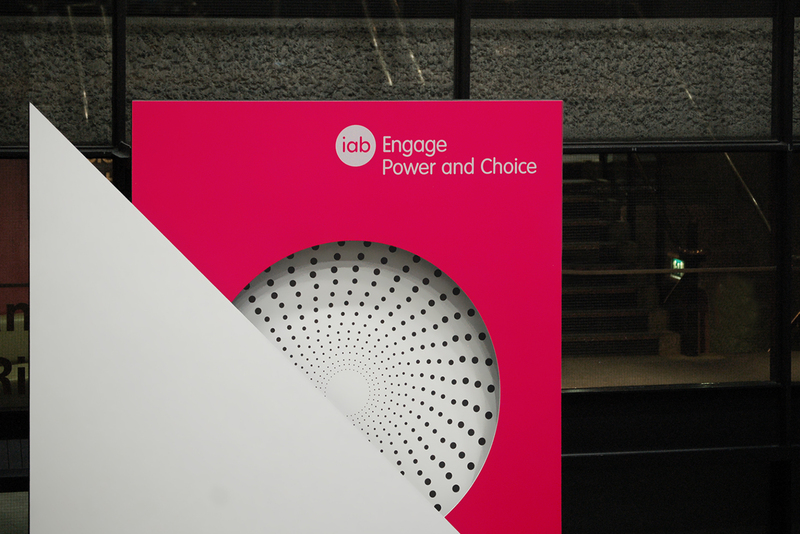 O Street returned to the Barbican to create the branding, communication and exhibition graphics for the smash-hit IAB Engage. 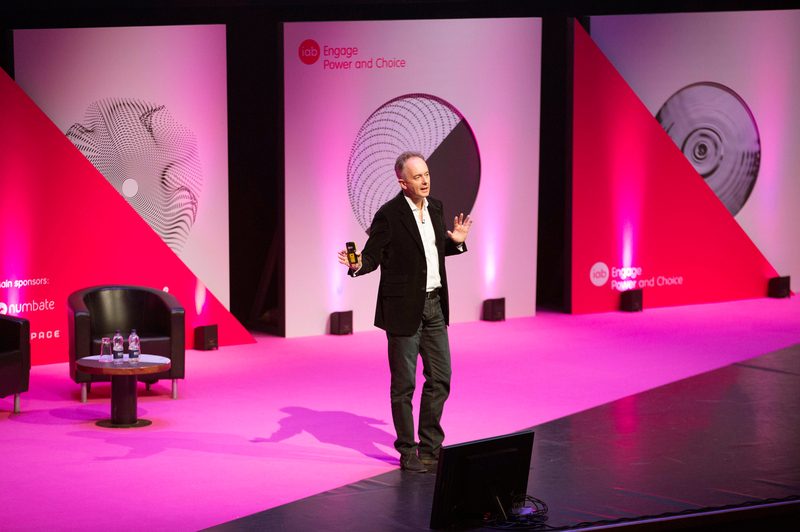 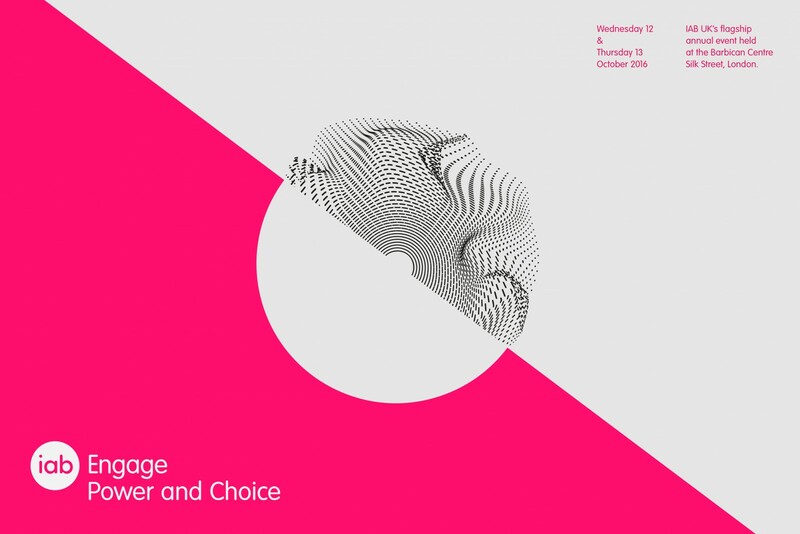 The theme for Engage 2016 was all about Power and Choice. 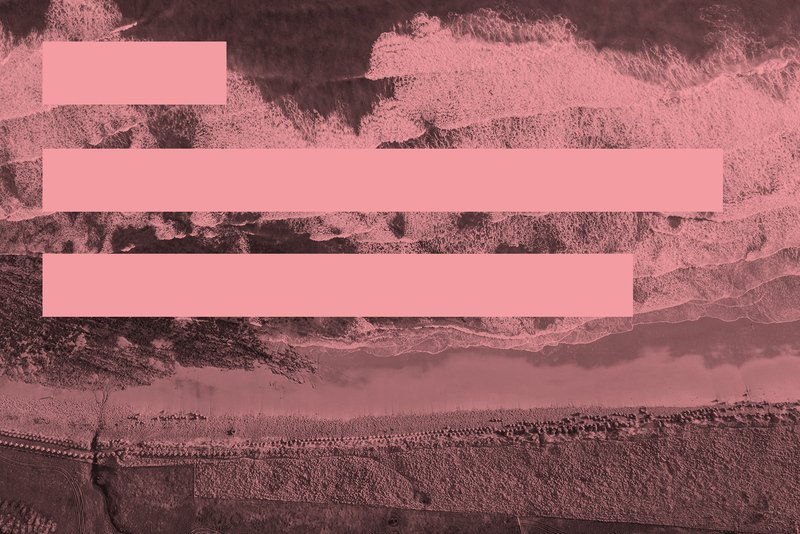 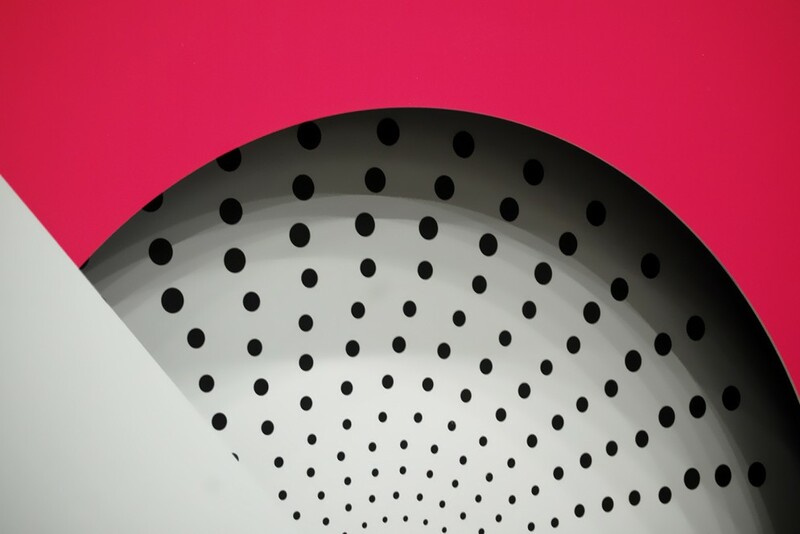 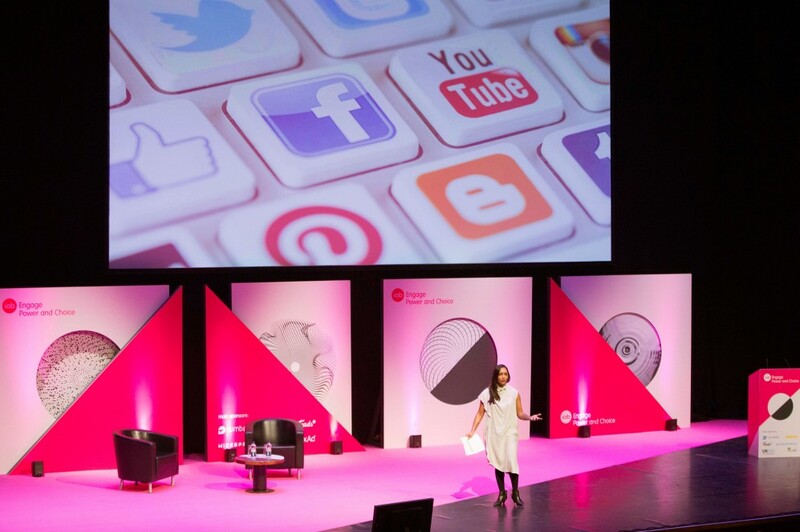 The main visual cue for the event branding came from the ‘split’ that appears when consumers face a choice. 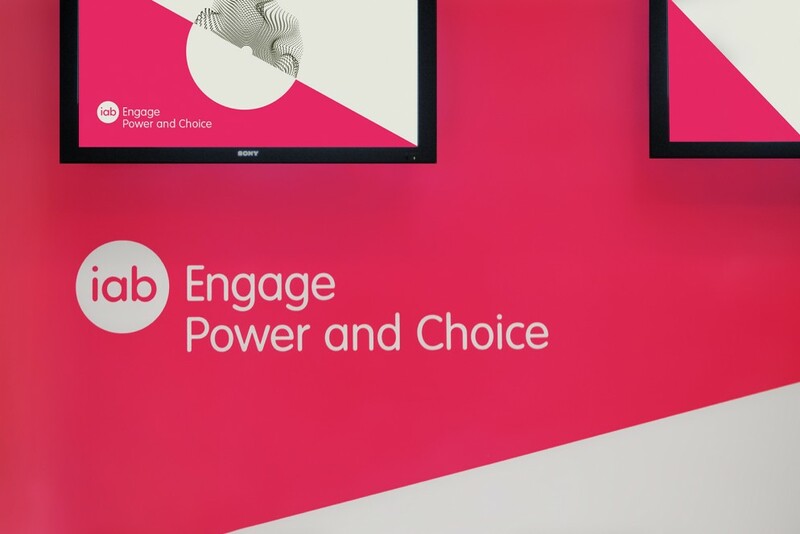 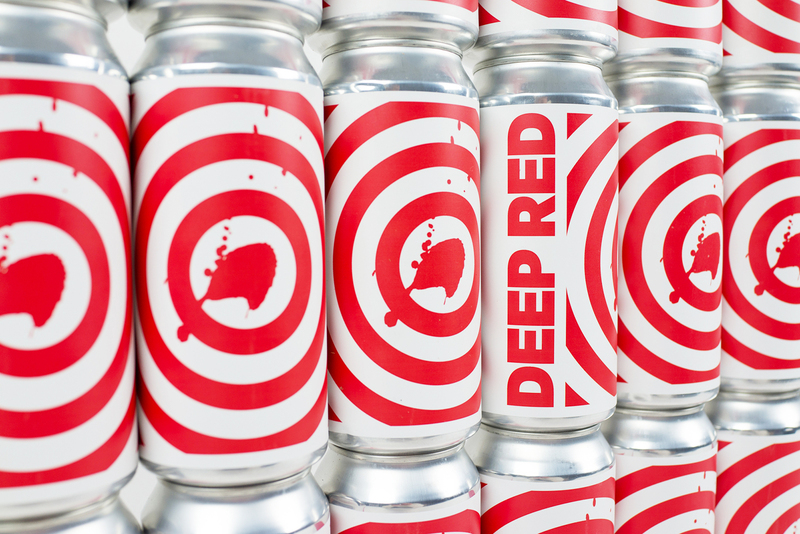 A bold bright splash of colour—paired with digital graphics—helped bring the event to life. 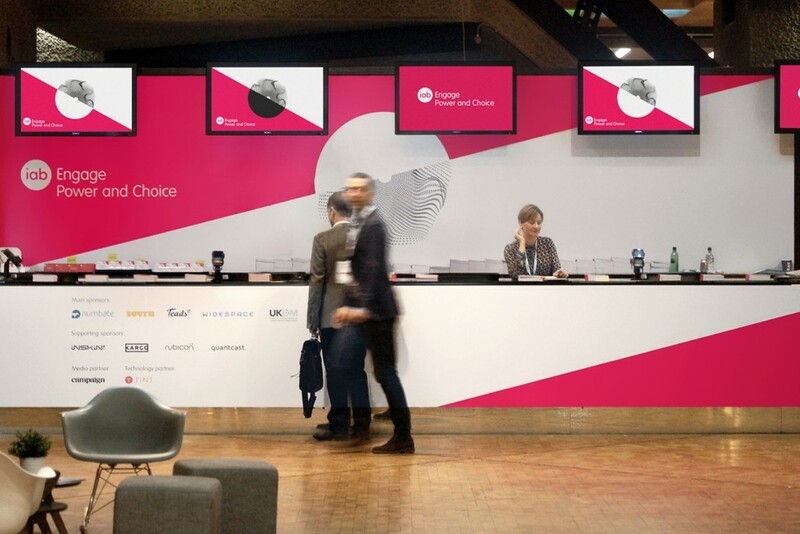 We used a mix of vinyl applications, digital screens and a handful of 2-metre-high bespoke panels; giving the conference areas a big impact in the concrete Barbican interior. 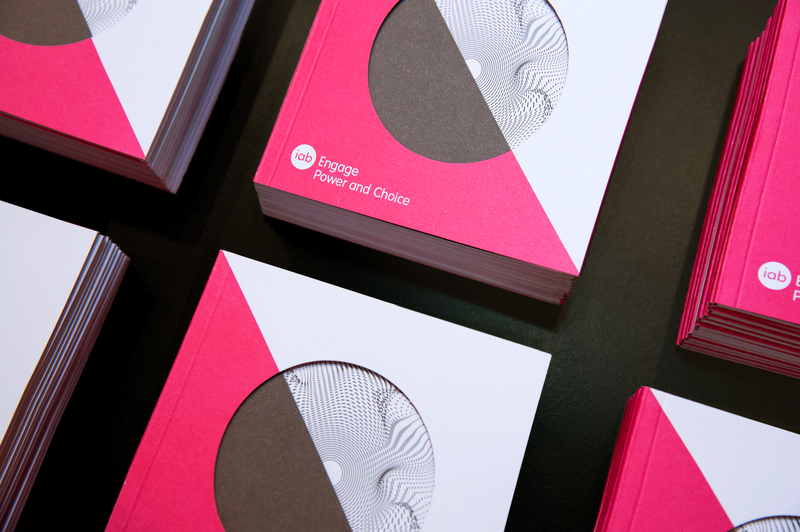 Our interior partner Stuco helped bring the project into the physical realm. 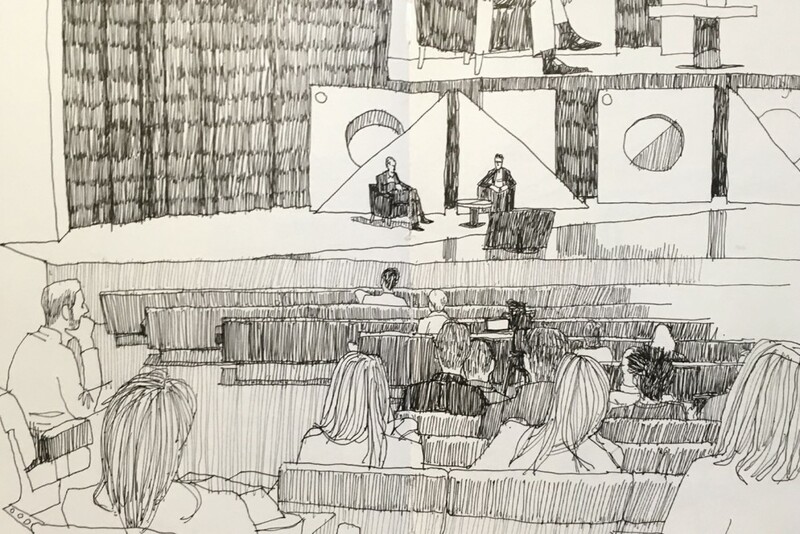 As well as knocking out some sweet sketches of the set-up on the day of. 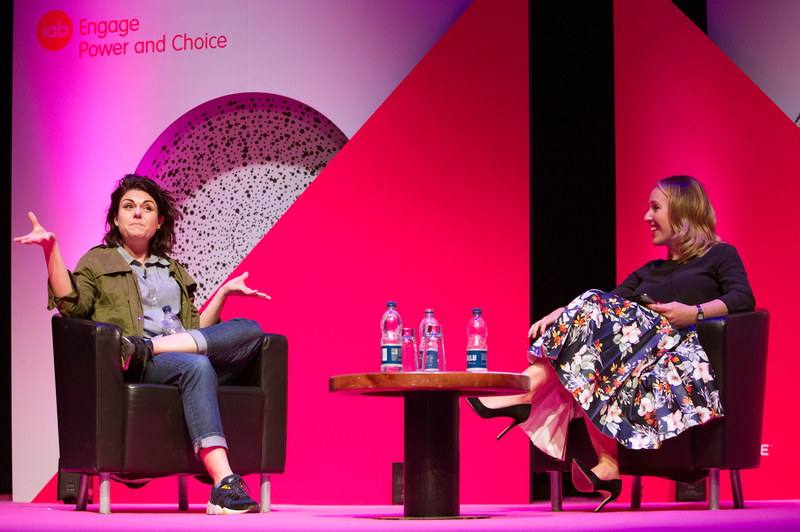 The event was a hit, with this being the first year where over half the speakers were women—including Caitlin Moran as a guest speaker on the second day. 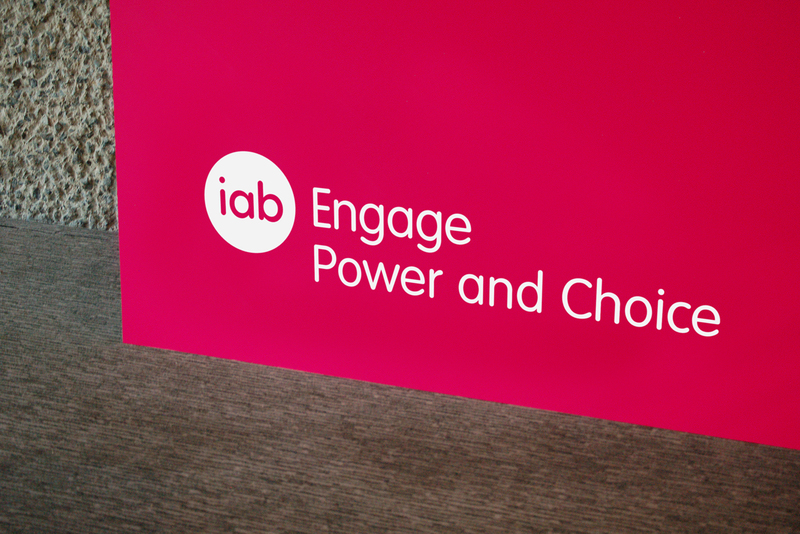 Read more about IAB and their events here. 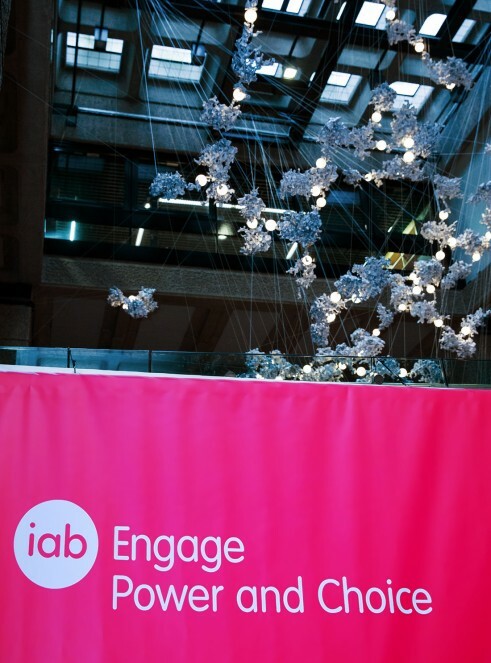 Photography credit: Rolf Markham for IAB UK. 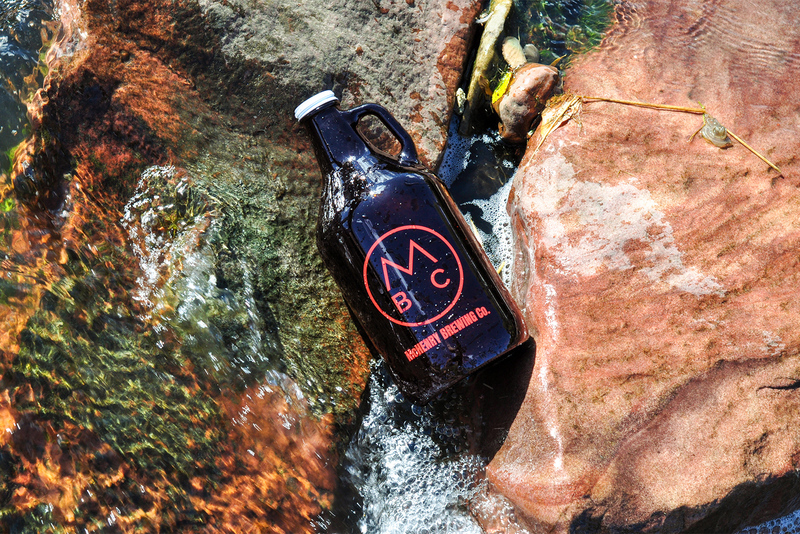 Brew by the Fox, Drink by the Fox.